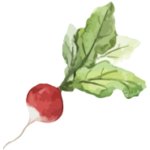 Farm Runners is a regional food distributor specializing in custom-harvested farm products. 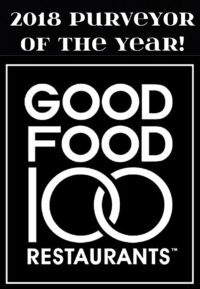 We serve the Roaring Fork, Gunnison, and Grand Valleys of Colorado with local food year-round. We are based in Hotchkiss, CO, where we have been building lasting relationships with farmers since 2012. We help new and established family farms find a market for their product while making it easier for consumers to access the amazing food grown here in Western Colorado. Our entire team has devoted our lives to farming and food. We have all spent extensive time working on farms, learning the business from the ground up. Our collective experiences give us a distinct understanding of our local growing conditions, unique varietals, and the strengths of each of our producers. Emma and Matt came to the North Fork Valley in 2012 to work on small farms. They quickly fell in love with the valley and it’s rich agricultural traditions. 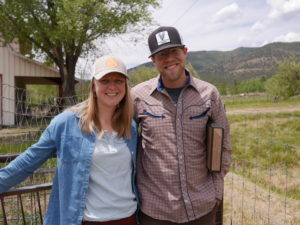 They founded Farm Runners in 2015 to help bridge the gap between farmers on the Western Slope and their customers in the mountains. Emma is the chief business guru. She keeps the ship running straight. Matt is the chief operations master. He keeps the trucks on the road and orders coming in. Katie joined Farm Runners in the Winter of 2017. After farming for years in Pennsylvania and Washington, she returned home to Colorado to settle in the North Fork Valley. When she’s not visiting with farmers, packing produce, or delivering orders, she can probably be found in her kitchen, cooking up the season’s bounty. 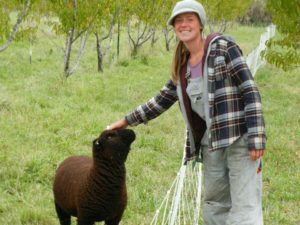 After co-owning a farm of her own here in Paonia and then in the Driftless Region, Annie was excited to come back to her farming roots here in the North Fork Valley where she’s been involved with local farms since 2010. 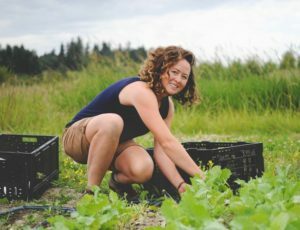 She began working with our team in 2018 and brought her passion for healthy, local food with her. Annie is our CSA logistics manager, data & organizational dork, and a member of our pack team. For us, local isn’t just a marketing catch-phrase, it’s a commitment to maintaining the connection between farmer and consumer. We facilitate this connection by building lasting relationships, both with customers and farmers. We offer a diverse selection of seasonal foods from regional family farms that meet the highest standards of freshness and flavor. We are dedicated to offering the best quality service and products on a schedule that you can depend on. We believe in creating a food system built on honesty and trust. That is why you will always be able to see who grew your food and how it was grown.